A new report from a prominent human rights group has found that ISIS has built a substantial arsenal, including U.S.- made weapons obtained from the Iraqi army and Syrian opposition groups. 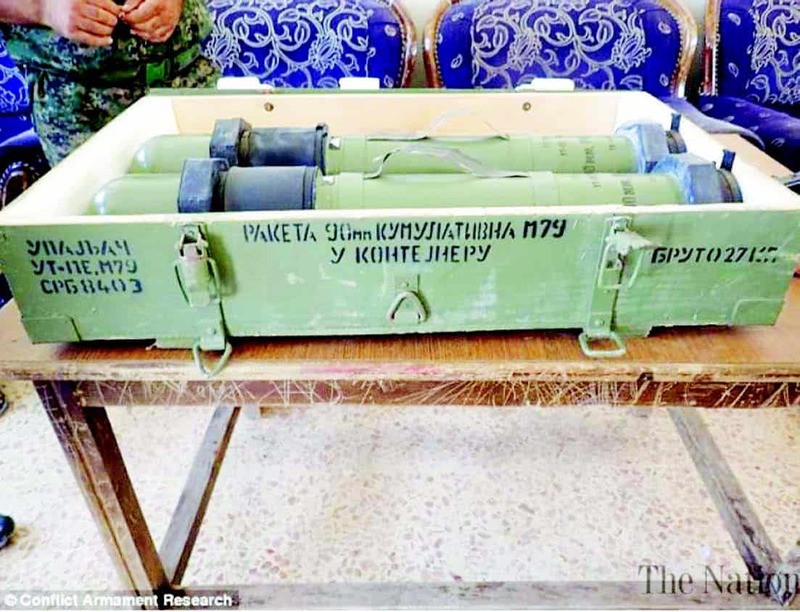 Amnesty International’s 44-page report, released on December 7, found that much of ISIS’ equipment and munitions comes from stockpiles captured from the U.S.- allied Iraqi military and Syrian rebels. ISIS has also gained access to weapons from other sources through the capture or sale of military stocks supplied to armed opposition groups in Syria by countries including Turkey, the Gulf States and the U.S., according to the organization. “It is mainly old stock, but they do have some more sophisticated weaponries that were more recently manufactured,” he said. One of the most common types of weapon used by ISIS fighters is the AK automatic rifle, and ISIS forces are also equipped with U.S. military-issue M-16s and guns manufactured in China, Germany, Croatia and Belgium, according to the report. However, the Pentagon admitted that these monitoring programs don’t apply to equipment that is lost on the battlefield. These weapons have not only increased ISIS’ effectiveness on the battlefield against U.S.-backed local forces, but have been used in human rights abuses and violations of international humanitarian law across Iraq and Syria by ISIS, according to the report. Documenting specific abuses, the human rights group said ISIS’ military campaign has “relentlessly targeted civilians with small arms, artillery fire and huge quantities of improvised explosive devices” across Syria and Iraq. “The big takeaway for us is that you have to look historically at this and the long process whereby states often recklessly and irresponsibly send arms to Iraq … often in a very uncoordinated and chaotic manner,” Wilcken said. Editor’s Note: The fact has been documented by numerous academics, political analysts and news sources, and advocates against the proliferation of the carnage in Syria and Iraq, that the major forces behind ISIS are the western nations, the Saudis and their Gulf state cohorts and Israel. These same forces have aggressively proliferated the hegemony in the middle east and other parts of the world for decades, most tragically in the destruction and destabilization of Iraq, Libya and Afghanistan. Halting the flow of armaments – the actual objects of violent aggression – is key to decreasing the incessant bloodshed and destruction that these the enemies of peace hope will render the world’s resources and its people under their complete control. Thus, the efforts of Russia and other nations who are actually inflicting substantial damage to the armament depots, stockpiles, transport and manufacturing sites are being applauded by the rest of the world – targets so elusive to the ones who armed and equipped the terrorists.